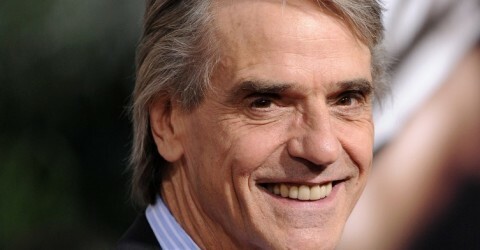 At the Old Vic New Voices US/UK Exchange launch on 23 February, Jeremy Irons read from TS Eliot’s Four Quartets . 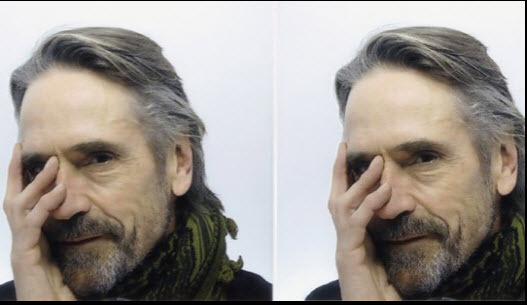 “Jeremy Irons was introduced at the event as representing the T S Eliot foundation (who are sponsoring the exchange) who had asked him to read some of Eliot’s work. He was clean shaven and had his trousers tucked into a pair of boots! Before he did the reading he told a story about going to New York for the first time: He was filming on a boat on the way back from New York but it meant he had a few days in New York. He was walking down Madison Avenue and asked someone where Fifth Avenue was – the man replied ‘what do you think I am – an information bureau?’ which he thought was a brilliant line (Only Jeremy got the punch line of that wrong to start with saying ‘what do you think I am – an employment agency?’ and then joked that he was thinking ahead of himself). He then said he went into a shop and there was a man talking as he bought a cigar and all that Jeremy could think was ‘everyone here talks like they’re in a movie’ and, subsequently, that for a long time whenever he had to do an American accent he thought he sounded like he was in a movie and that there was something disingenuous about it. According to the Old Vic New Voices twitter feed, over 400 people were in attendance at the launch. Jeremy Irons and James Earl Jones have been confirmed as guests for the 2010 TS Eliot US/UK Exchange programme for the Old Vic New Voices. The New Voices Club is a year-round professional development programme for actors, directors, writers and producers, aged 18-25, living in London. We also run a sister programme in New York, the New Voices Network, for 21 to 30 year old practitioners. Members must demonstrate an exceptional talent, a deep commitment to a career in theatre and a passion for peer collaboration. The Club and Network offer support for members to realise projects that they are passionate about, and host a dynamic series of workshops, talks and networking events. The annual highlight is our T.S. Eliot US/UK Exchange – an expansion of our old Exchange program, that now offers 50 British and 50 American artists the chance to explore theatrical life on the opposite side of the Atlantic.